Hoi An, Vietnam - May 10, 2018: Rickshaw drive the chinese tourists along the ancient street in old town in Hoian. Historical UNESCO destination. 4k00:12In the streets of Hoi An Vietnam at daytime, February 2017.
hd00:21PRAGUE, CZECH REPUBLIC - DECEMBER 13, 2017: Video of people and tourists visiting the christmas markets at the Wenceslas square in Prague and shopping for traditional gifts. 4k00:20HANOI,VIETNAM-FEBRUARY 19,2019: Unidentified peoples working at 36 streets old quarters in Hanoi, Vietnam. This is landmark of food, market and shopping in Hanoi. Movement camera shot. 4k00:17HOI AN/QUANGNAM PROVINCE/VIETNAM 2015: Day view in Hoi An with some view of pagoda, paper lantern, streets and people on the street. 4k00:17Hoian, Vietnam - Feb 2, 2016: Street view with old houses in Hoi An ancient town, UNESCO world heritage. 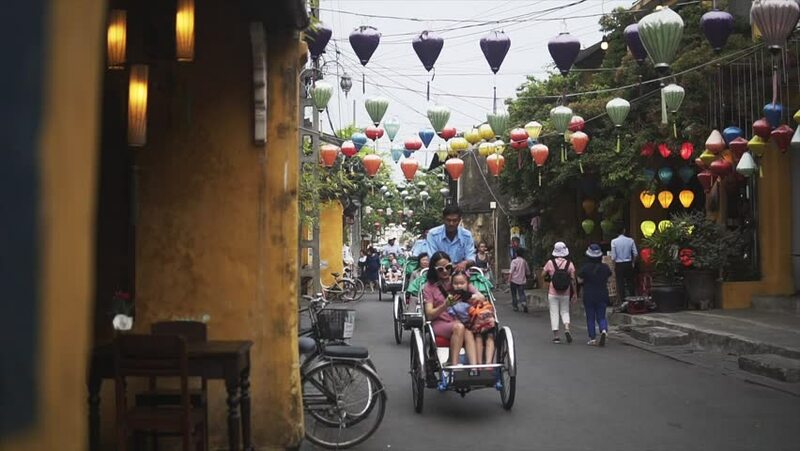 Hoi An is one of the most popular destinations in Vietnam.